Now that our markets have started up it is hard to find an extra minute. 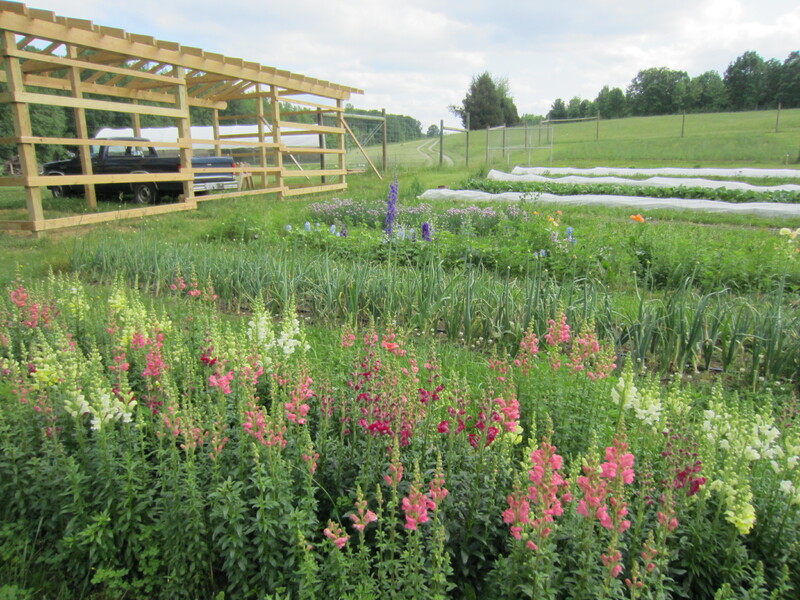 So much to plant, harvest, and weed; so many things flowering and beginning to fruit. 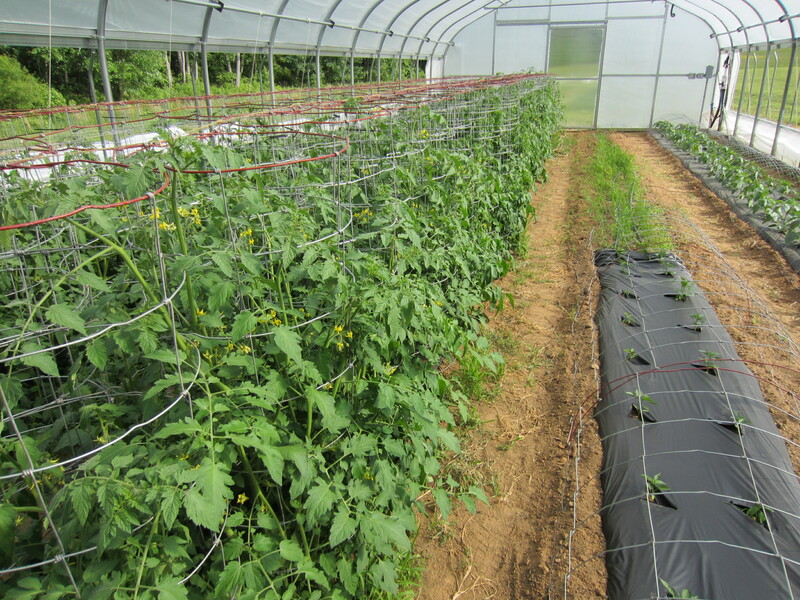 The tomatoes in the greenhouse are just reaching the tops of their cages. 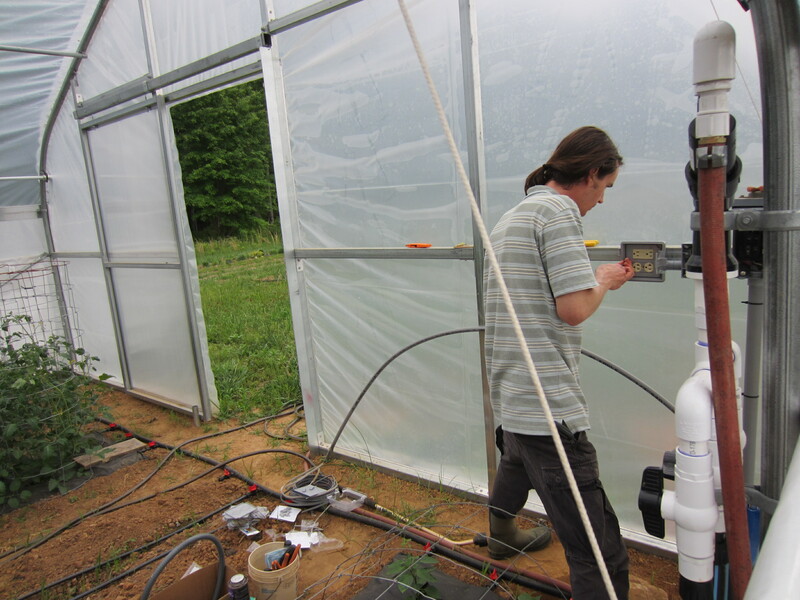 Gavin finished the electrical work in the greenhouse, so now we have an outlet and a fan that blows air between the two layers of poly. 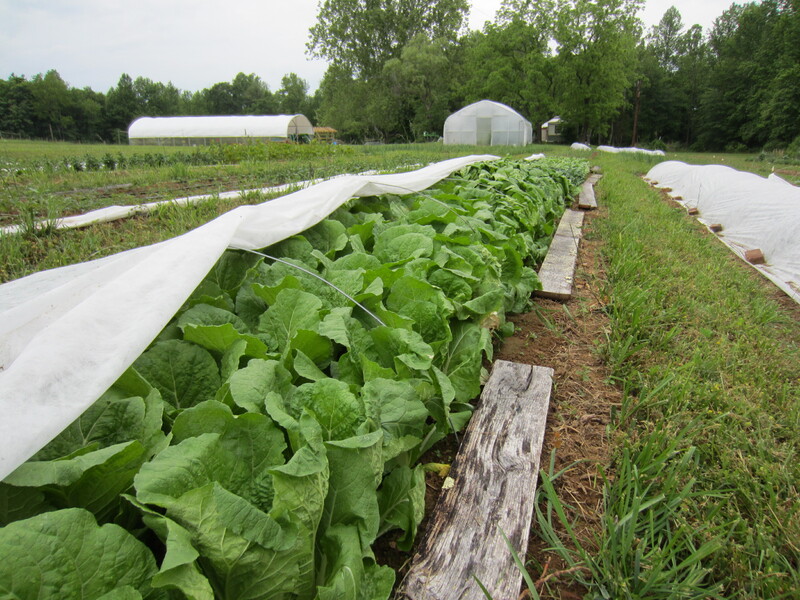 This will provide a little extra insulation and help protect the structure from forceful winds. 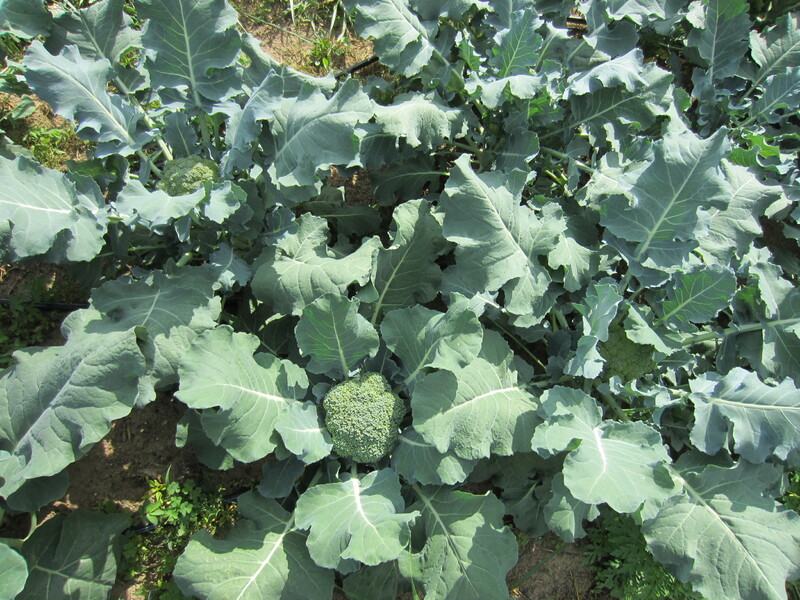 Our broccoli crop started coming in last week! 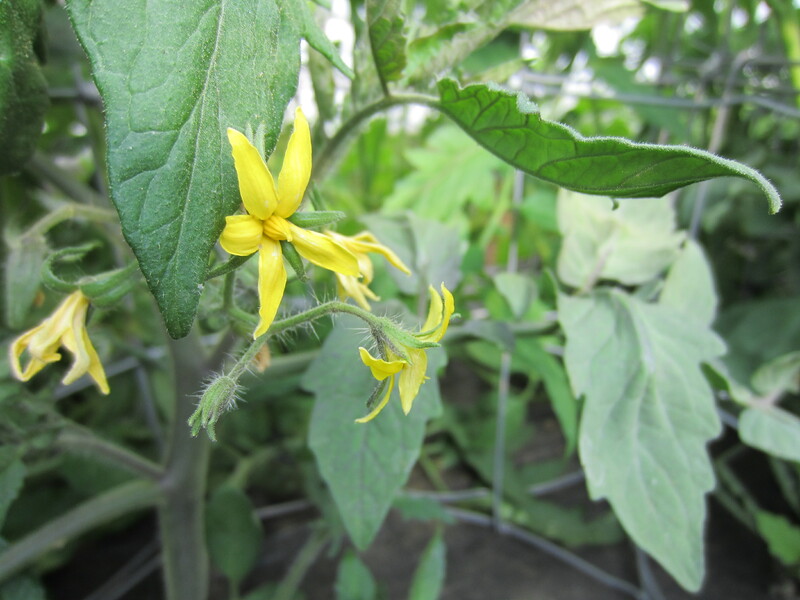 It is amazing to see the differences in the three varieties we planted. Pictured is ‘Blue Wind’, our least favorite of the three. The other two varieties, ‘Amadeus’ and ‘Green Magic’ look incredible. 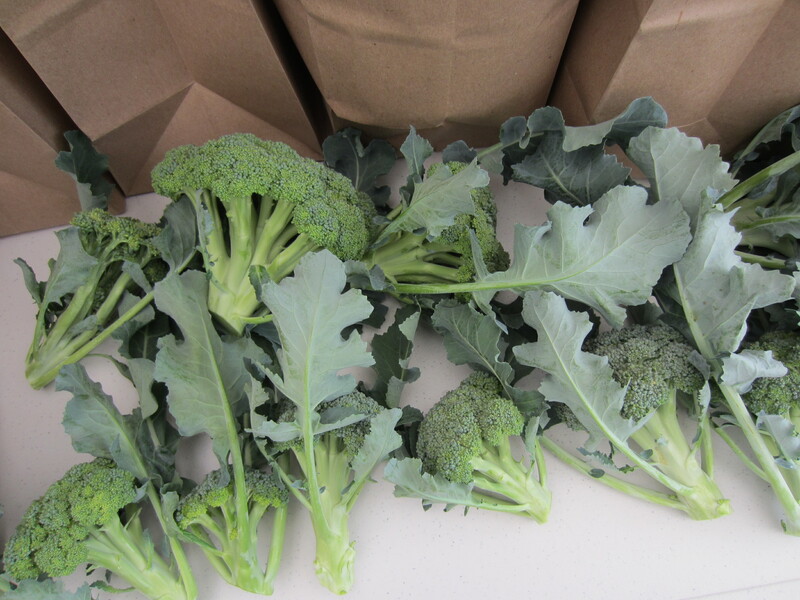 The first broccoli harvest went to our farm share members. 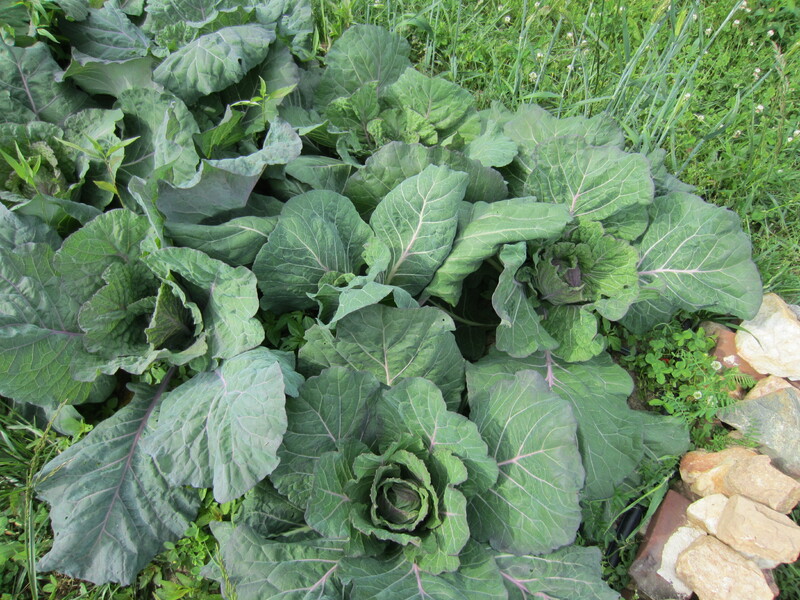 The red savoy cabbage is starting to form little heads. 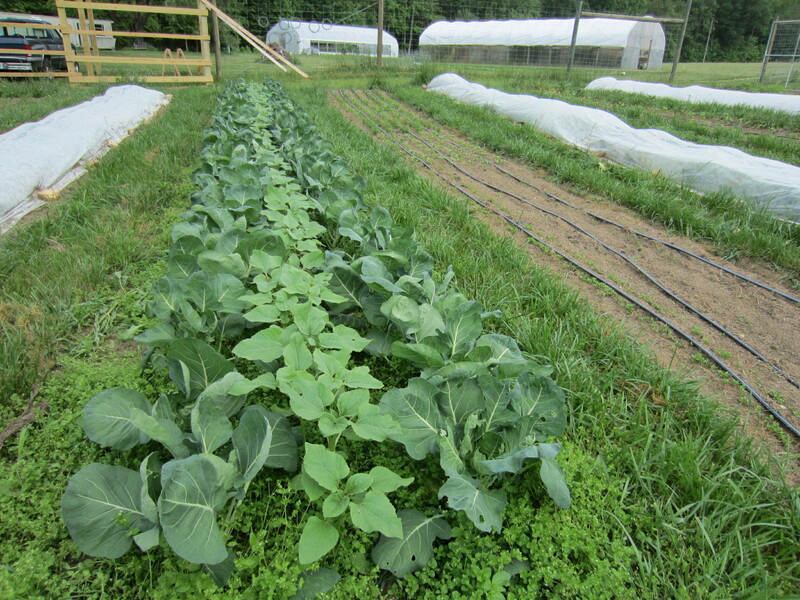 A row of succulent greens: napa cabbage, pac choy, tatsoi, and mei qing choi. 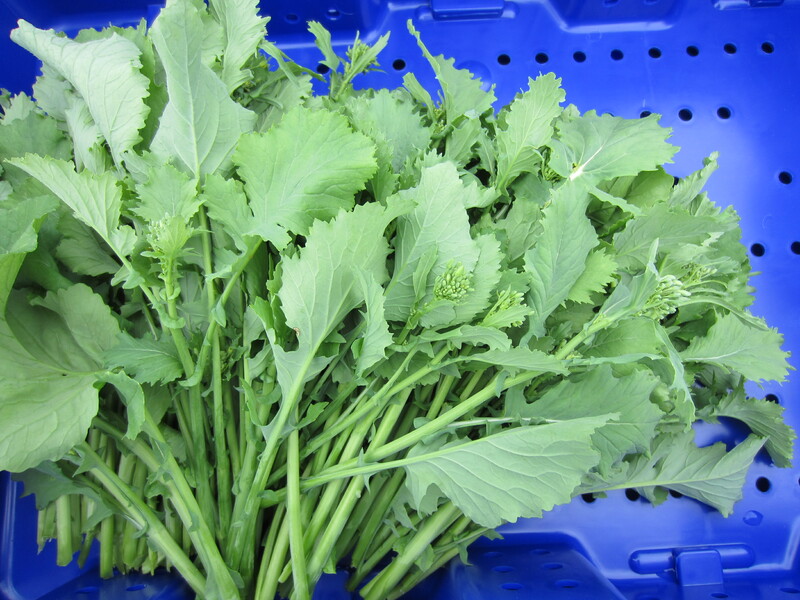 Broccoli raab. Here today, gone to flower tomorrow! 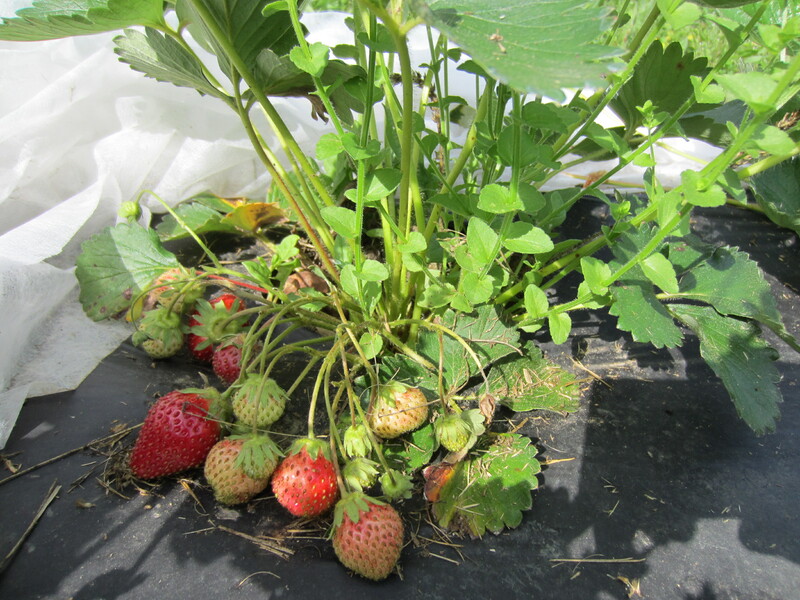 Our strawberry harvest was meager. We were lucky to get a few bowls before the raccoons found the patch. 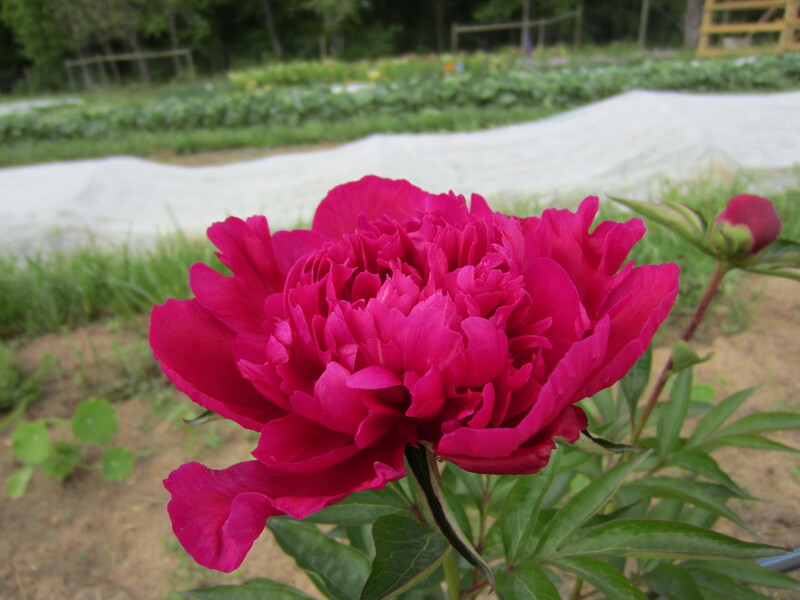 A few of the peonies I planted in the fall are now blooming! This variety is ‘Big Ben’: smells heavenly! 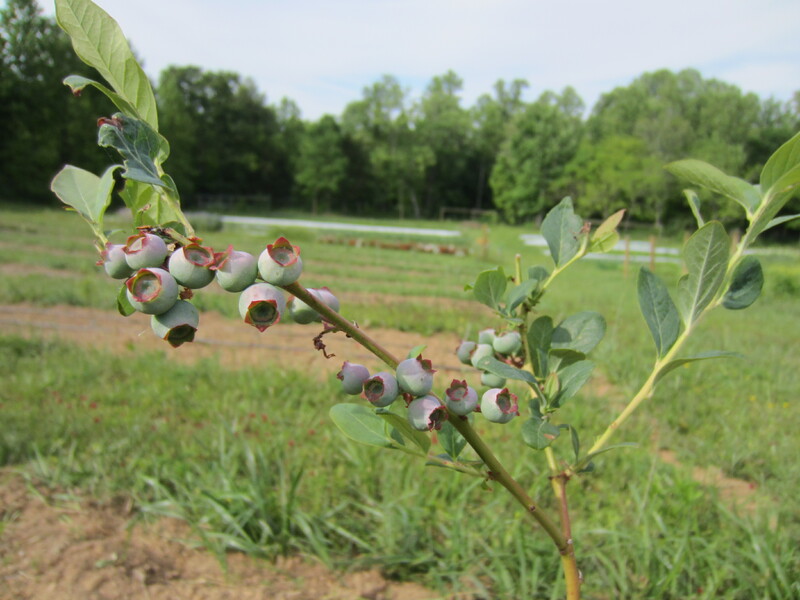 Our tiny blueberry plants are growing some berries. 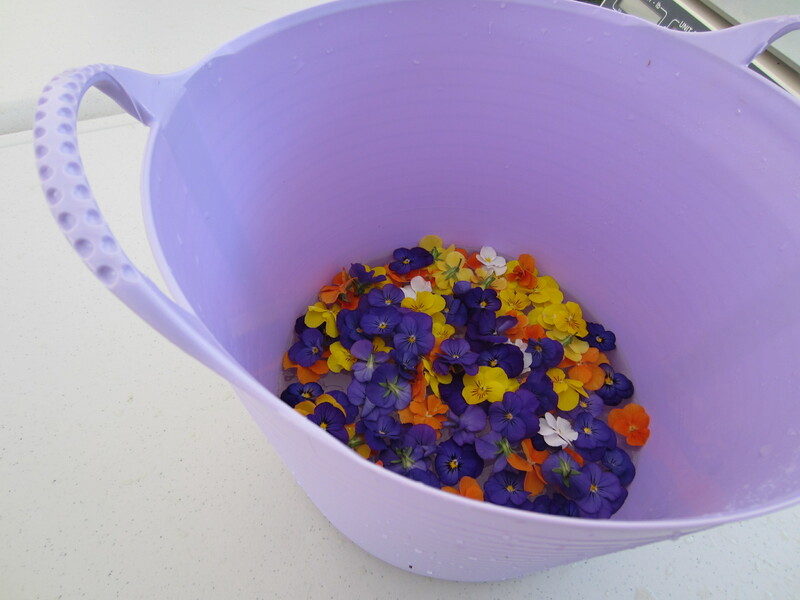 Edible flowers for the salad mix. Five more weeks of long days. My favorite time of the year!